Shopping for Star Wars Preschool Toys? Includes extra parts for wacky faces! Finally, a droid made out of vegetables! Bonus holographic Leia potato head figure! He's a starchy little droid! It's Mr. Potato Head. No, it's R2-D2. No, it's both! Meet Artoo-Potatoo. He comes with lots of mix 'n match potato parts and makes a great companion. 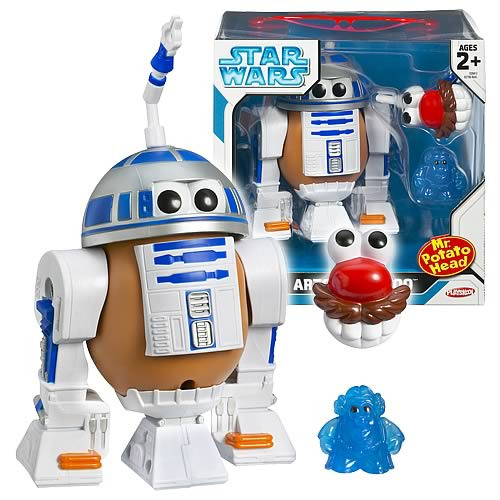 With this wacky spud, you also get a mini Princess Leia tater figure. You're sure to have loads of fun together!